A few days ago we shared with you Google’s newly released service called 'Google Service VR’. 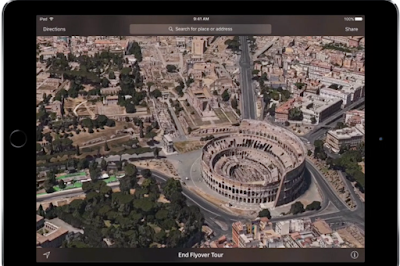 This is a new feature in Google Earth that allows users to 'virtually explore the world from different perspectives and right from the comforts of their own place. You can walk, fly or stroll through amazing places and experience incredible sights from standing at the top of the highest peaks to soaring into space, Google Earth VR will help you explore the wonders of the world in 3D virtual reality'.